NEW UFiP Est. 1931 cast cymbal series. B20 Cast Bronze hand hammered. 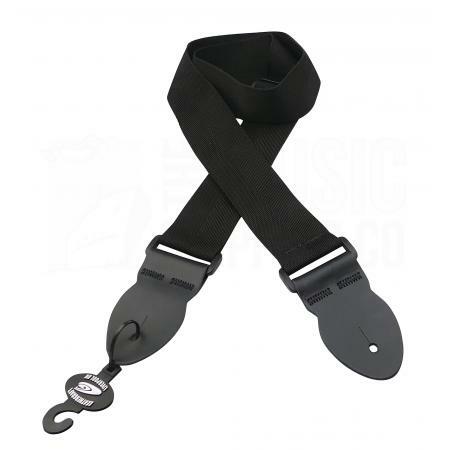 Suitable for all styles of music genres such as Jazz, Big Band, Funk and Pop through to contemporary styles. A warm dry sounding very controlled cymbal. In January 1931 four Italian Cymbal Companies Marradi-Benti, Zanchi & Biasei, Rosati Leopoldo and A. 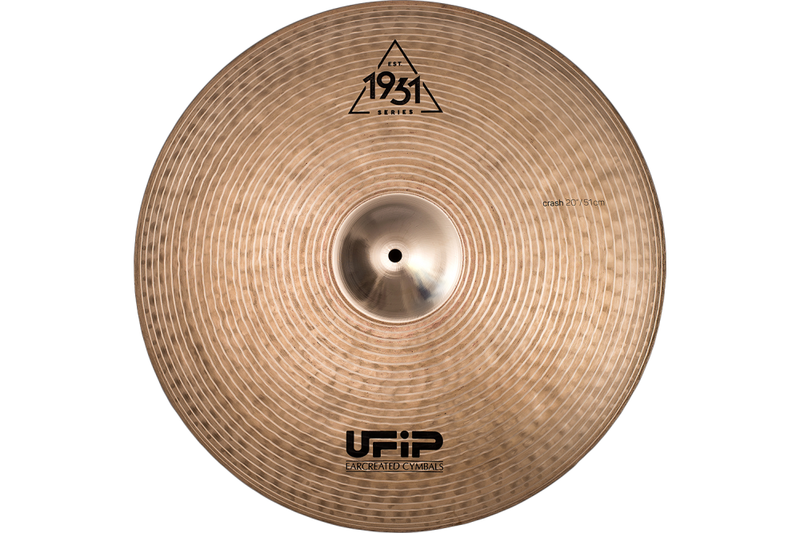 & B. Fratelli Tronci founded a co-operative society called UFiP* to stop the competition between cymbals manufacturers. They did not realise then that this was the beginning of a revolution in cymbal production. Move on to the 1960’s and UFIP developed their unique Rotocasting production technique. 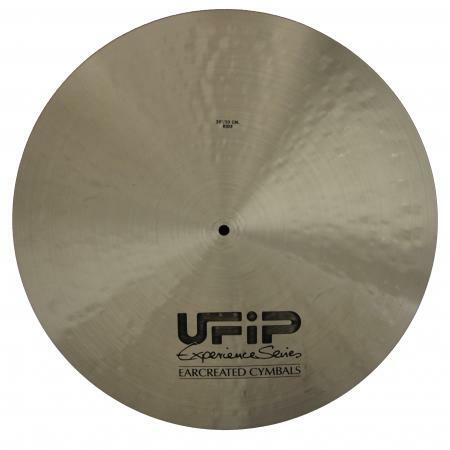 All UFiP cast cymbals are created with this method of pouring the molten bronze into a cymbal mold mounted on a centrifuge that spins at approximately 1000 revolutions per minute. This technique reduces air pockets in the alloy, helps eliminates impurities in the bronze and ensures a thicker bell, resulting in better resonance, together with less chance of breakages in use for its lifetime. 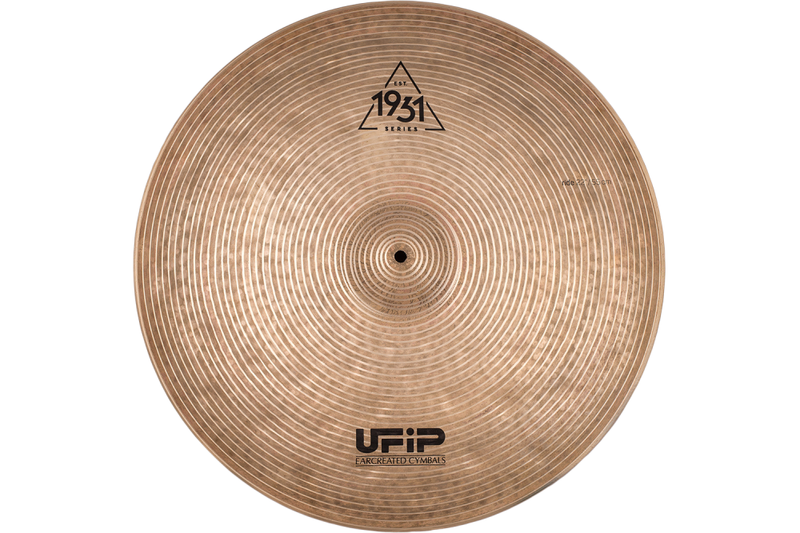 The new 1931 range brings together Artisan Heritage and State of the Art Rotocast production with traditional hand hammering by some of the world’s finest cymbal makers, to produce a range of cymbals that set a new standard. Suitable for all styles of traditional music genres such as Jazz and Big Band together with Funk and Pop right up to contemporary styles such as Grime and Spoken Word. A warm dry range, due partly to its smaller design bell, resulting in concentrated low frequency range for increased warmth of sound. The 1931 range is extremely controllable, with a unique look and a very specific finishing process. Blast Extra Dry Crash Cymbal Demo: 16", 17", 18" 19", 20"